I am seriously in love with the vending machine at my office. It spits out 45 cent Diet Cokes and 25 cent Pop Tart packages! But I think I could seriously get on board with the new trend sweeping the nation ... none other than beauty vending machines! Can you imagine walking through the mall or the airport and all of a sudden stumbling upon a vending machine filled with Elizabeth Arden or Neutrogena products? 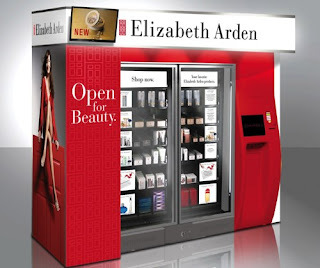 Lucky beauty chicks in San Francisco, San Jose and Santa Clara can all beautify themselves with Elizabeth Arden products in the machines at their local malls, while beauty mavens at the mall in Fort Worth and the Minneapolis airport can get their Proactiv fix! Move over, Snickers -- I want my lipgloss and toner.